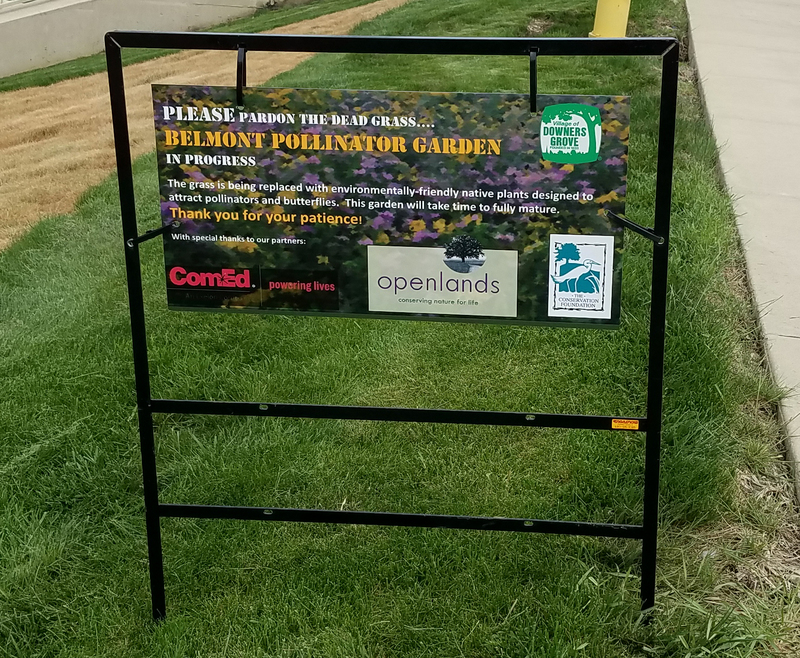 A pollinator garden is coming to the open areas near the Belmont underpass. The grass inside the turnarounds at Warren Avenue and Belmont Road is being replaced with sustainable native plants to attract and provide a habitat for pollinators. Although you may not always see them in a garden or green space, pollinators like bees, beetles, moths, hummingbirds and butterflies, are a critical component to strong and healthy harvests, but populations have been declining in recent years. The garden will also include milkweed to target Monarch butterflies, building on efforts by surrounding suburbs to develop a "Monarch corridor" along the BNSF railroad. The Village was awarded a grant for the garden through the ComEd Green Region program which assists local communities in protecting and improving public spaces. Openlands, a non-profit conservation land trust dedicated to protecting open spaces in the Chicago region for over 50 years, administers the Green Region program. The Conservation Foundation is partnering with the Village on the project and providing their Pollinator Meadow Mix for the garden. The first stage of the work, already underway, involves converting the grass areas to a pollinator-friendly meadow mix. Seeding will likely occur in late May. Subsequent stages include adding accent gardens to highlight different types of plants contained within the meadow mix, and the addition of educational signs to promote the environmental benefits of native plants. The garden will take time to fully mature, but the meadow plants should be visible later this summer.